It's simple. We know Volkswagen. We love Volkswagen! We have a team of qualified service technicians standing by to help you with any of your service related needs. From oil changes, tire rotations, brake pads or transmission problems, we’ve got trained technicians who are able to help. Please use the button below to schedule service at Sherwood Park Volkswagen or contact our Service Department. You can also call us at (780) 400-4800. 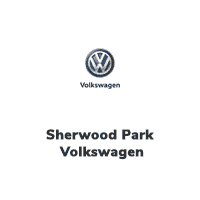 At Sherwood Park Volkswagen, we offer new VW cars in Sherwood Park and Edmonton along with a large selection of used cars, trucks & SUVs by top manufacturers. Our brand-new, state-of-the-art showroom and service facility is conveniently located at 2365 Broadmoor Boulevard, Sherwood Park, AB, T8H 1N1. Our staff of professionals will help you find that new or used car you have been searching for in Sherwood Park. We have a selection of vehicles like the Volkswagen Passat, Golf, Jetta, Tiguan and Touareg and more! Our financial staff at Sherwood Park Volkswagen offer expert advice for those seeking a great VW car loan or lease but our service doesn’t stop there. Sherwood Park Volkswagen customers can come in and take advantage of our knowledgeable VW car repair technicians and a fully-stocked inventory of VW auto parts including a full selection of all-season and winter tires. From oil changes to parts, repairs, and service – Sherwood Park Volkswagen can meet all your VW maintenance needs.